New to the super game improvement category is the Callaway Big Bertha OS irons. Each new aspect of the iron head, designed with the mid to higher handicap players in mind, aims to make you a better golfer. 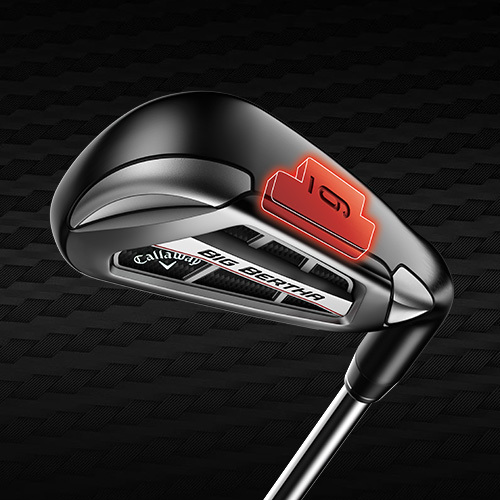 The Callaway Big Bertha OS irons feature a revolutionary iron structure never before seen in a previous Callaway iron. Callaway calls it the Exo-Cage and it makes up the majority of the iron head. This lightweight, rigid chassis redistributes weight and builds strength into their patented 360 Face Cup. The Exo-Cage allows the face cup to flex faster and more efficiently on off-center hits, creating ball speed and distance. The tungsten-weighted internal standing wave is another new feature in the Callaway Big Bertha OS irons. It’s located inside the iron body, close to the sole. Over 100 grams of tungsten are used throughout the entire iron set, which lowers the center of gravity location and moves weight to the heel and toe of the iron. Doing this promotes higher launch and more carry distance, even on off-center contact. Another feature is the progressive center of gravity location that moves as you go through the set. Long irons have the weight lower in the club head. The low center of gravity makes them easy to launch. Locating the weight higher in the short irons results in improved shot-making control, more penetrating flight, and feel for dialing in pinpoint accuracy with the scoring clubs. The TT Speed Step 80 and UST Recoil ES 460 are the stock shafts in steel and graphite, respectively. Each shaft helps to promote the overall theme of high launch and more distance. There are also women’s and senior model options that are lighter in weight compared to the stock men’s version for even more speed and launch for those players with slower swing speeds that need the extra help. 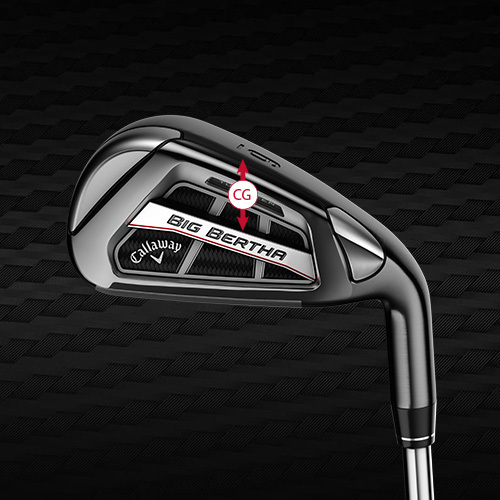 The Callaway Big Bertha OS Combo iron set is available for those that prefer hybrids over mid to long irons. Hybrid options range from a 3-hybrid down to a 7-hybrid. 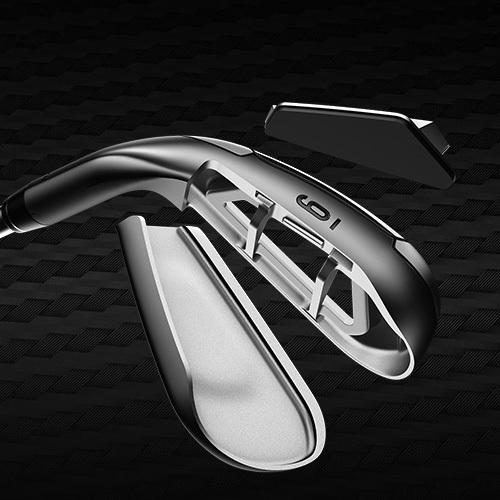 New in this year’s offering is adjustability of the hybrids, allowing the golfer to tune the clubs to fit into your bag. 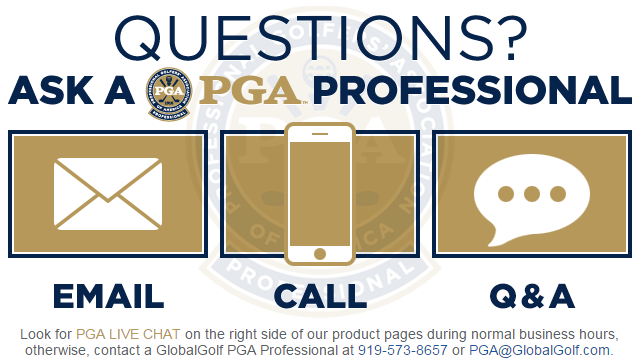 To learn more about adjusting the hybrids, pay attention to the “Opti-Fit Hosel technology” section of this past article. If, as a mid to high handicap player, you are looking for more distance and forgiveness, these Callaway Big Bertha OS irons might be just what you’re looking for.